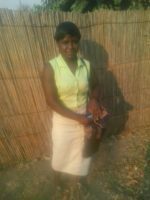 Tovia oversees all aspects of our program and manages all of the working members of our Malawi based team. Tovia has been with WCIM since 2013 and we would never have accomplished so much without her. She has a certificate in project management and her knowledge has been instrumental in our garden projects and food programs. Tovia is married with two sons. She is an incredible mother, wife, friend and staff member. Joseph tends to our on-site garden as well as any maintenance issues that come up on the property. He is one of the hardest working men I know. He takes incredible pride in the work he does and has made himself available whenever something is needed. He has helped cook, looked after the children and helped with security. He is a jack of all trades and is invaluable to WCIM. Joseph is married and has an amazing son and daughter. Hassan has lived locally in Chutila most of his life. 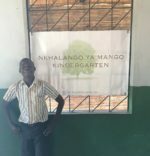 He enjoys teaching the children and is also leading our after-school program for the older children in the community. He recently married and hopes to grow his family soon. Witness has the brightest smile and is always willing to do whatever is needed around our property. He has always expressed how happy he is to be a part of the WCIM family...and we are so happy too! Esther first came to WCIM as a substitute teacher and we are now blessed to have her working full-time with us. Esther lives locally to the school in Chutila and loves that she is having an impact on the growth of her own community.